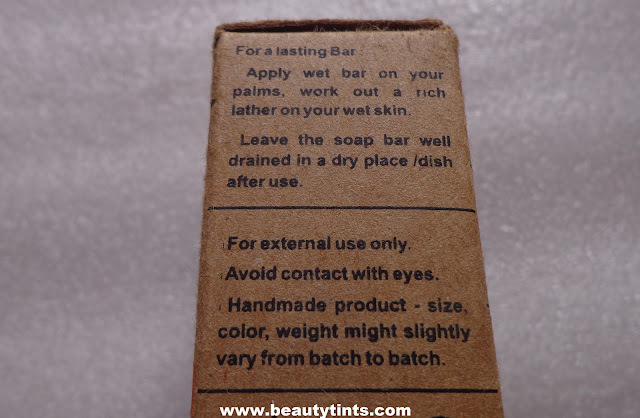 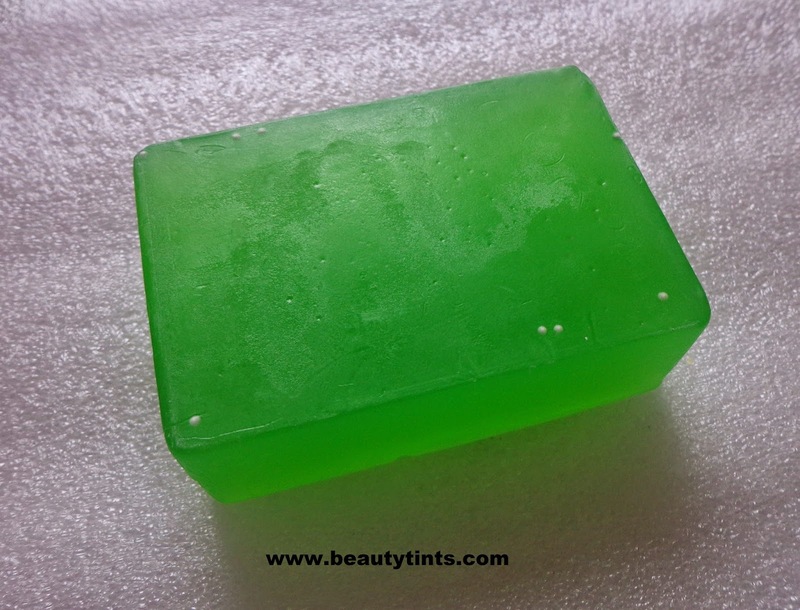 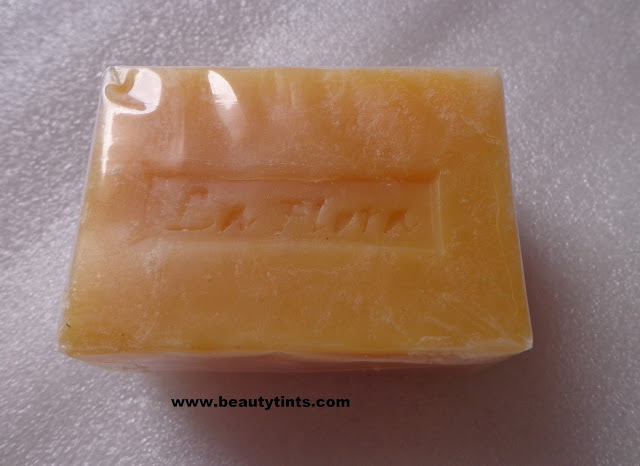 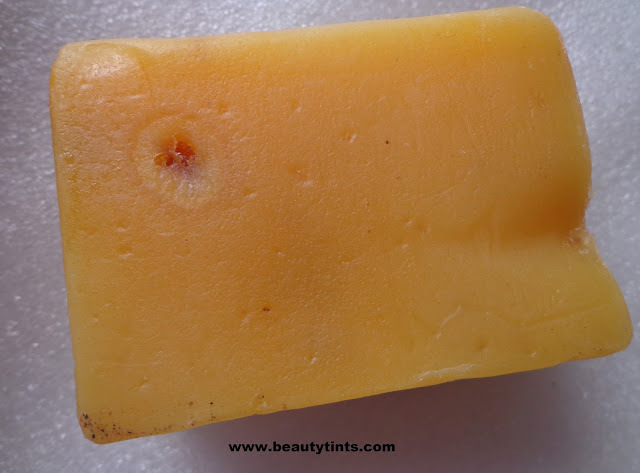 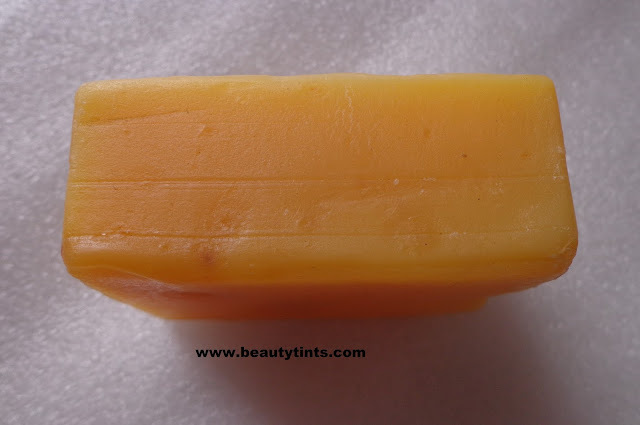 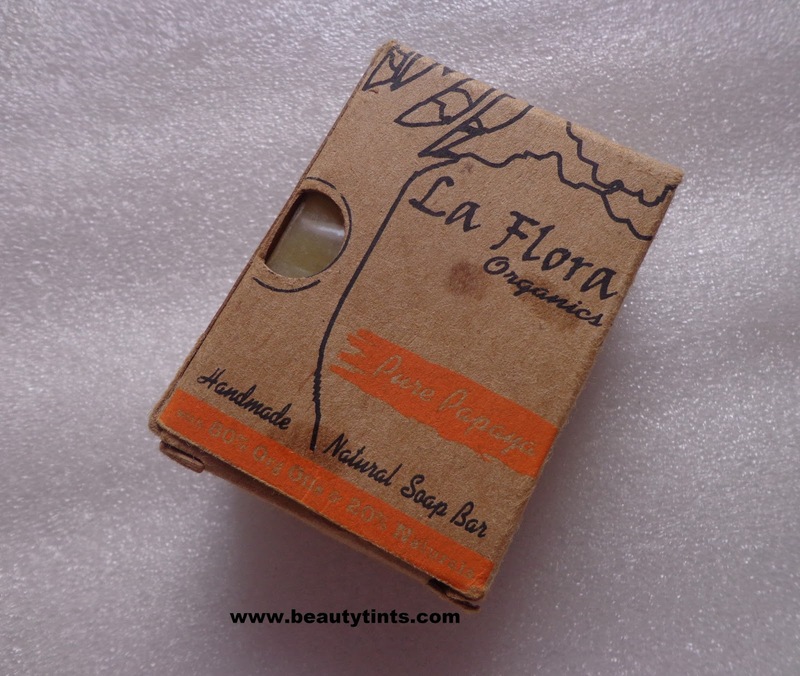 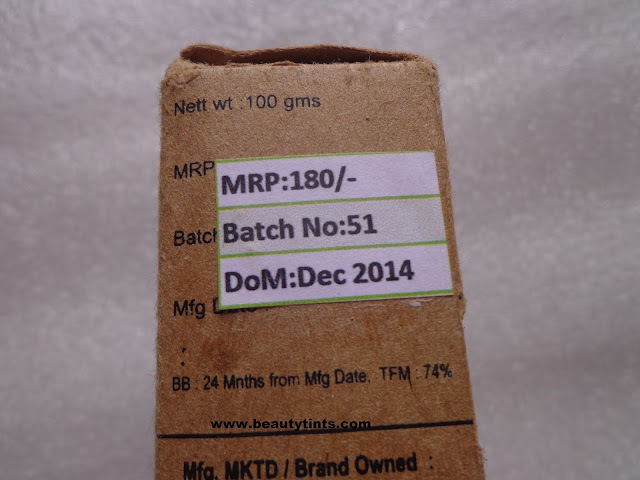 Sriz Beauty Blog: La Flora Organics Pure Papaya Handmade Natural Soap Bar Review!!! La Flora Organics Pure Papaya Handmade Natural Soap Bar Review!!! 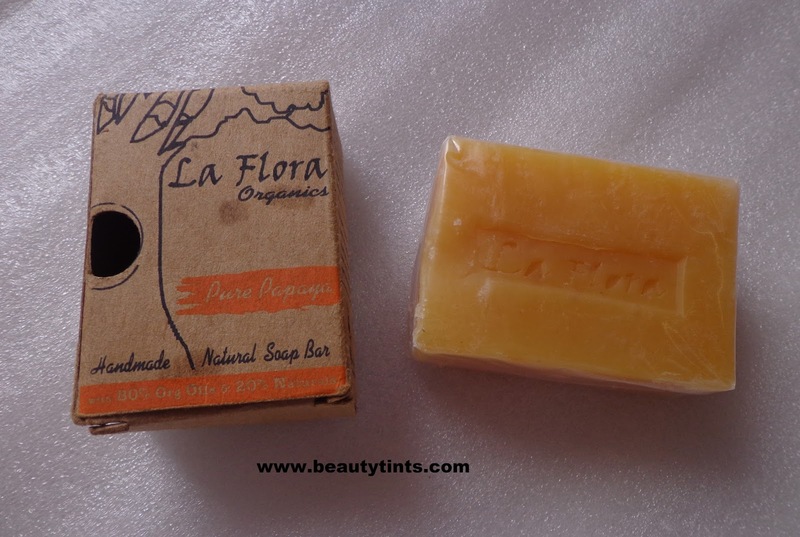 Today I am reviewing La Flora Organics Pure Papaya Handmade Natural Soap Bar,which is my current favorite soap.This soap has the delicate papaya fragrance which reminds me of the pure papaya pulp. 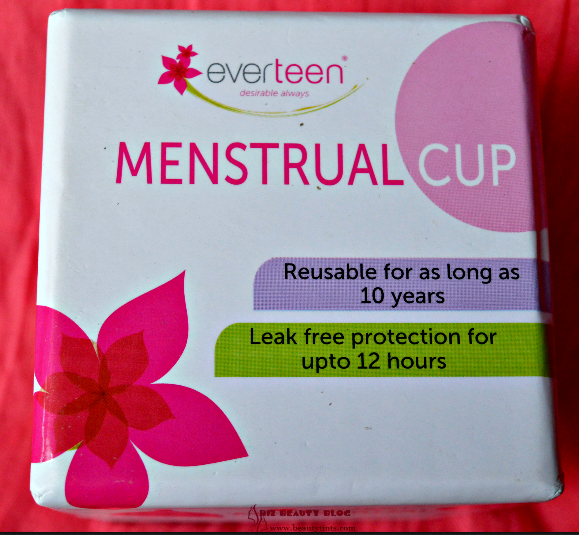 Packaging :It comes in a simple yet sturdy Card board packaging with a plastic film packaging inside for double protection. 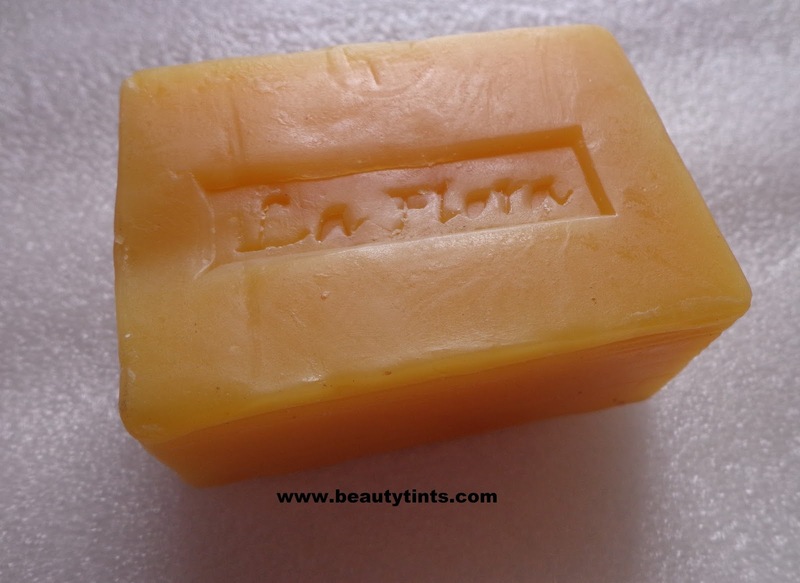 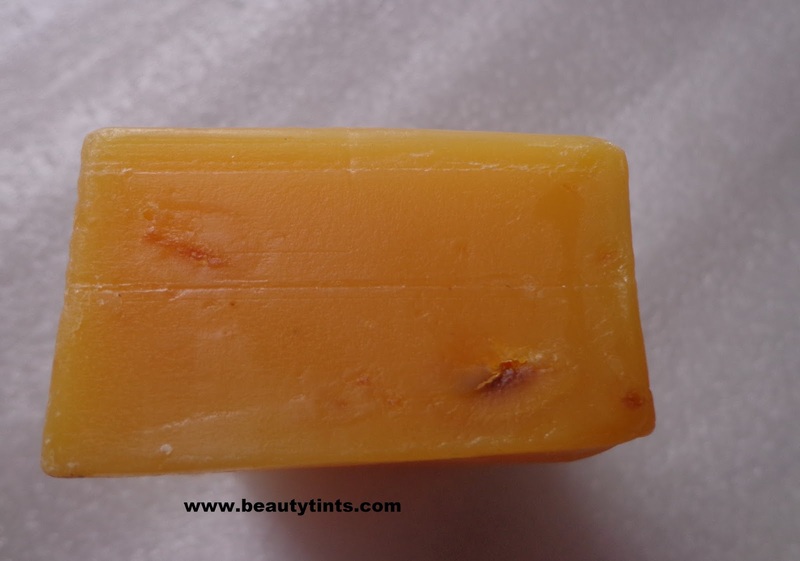 Color and Texture : This is a bright yellowish orange colored soap with buttery soft texture. 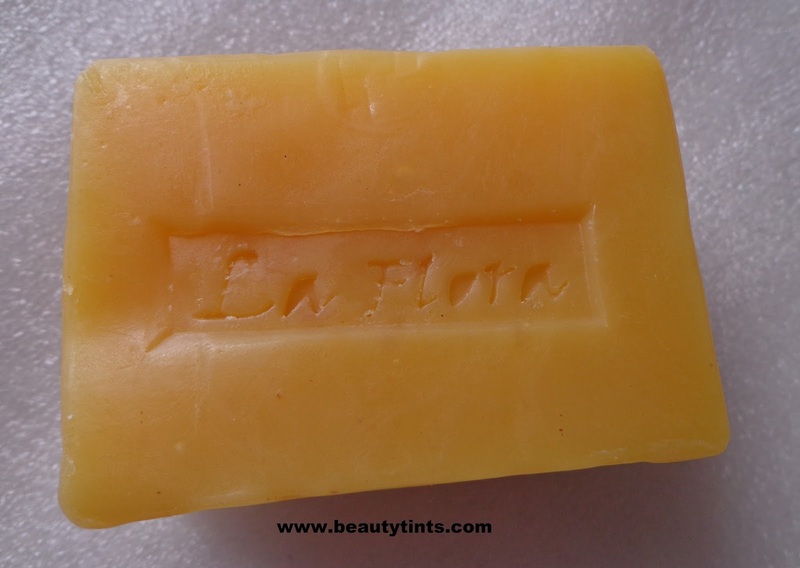 Organic & Virgin Veg Oils, handblended with skin Lightening Papaya Essential Oil & Fruit Pulp, cold processed for 6 weeks, making this luxurious bathing bar that will make your skin firmer, supple, and blemish free.Papaya fruit is known to have anti aging properties, It’s a natural skin lightener .La Flora Organics Pure papaya Soap bar has real Papya fruit added to it. 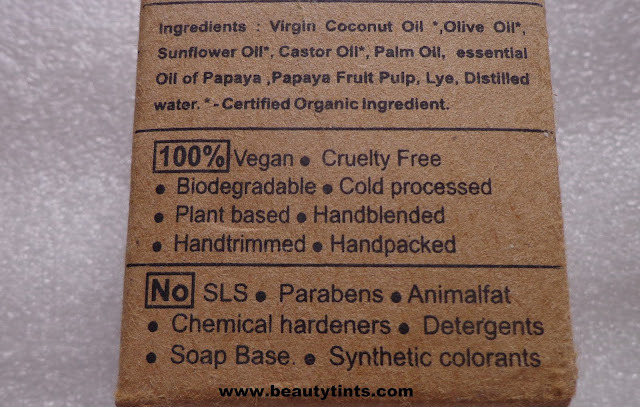 Ingredients : Virgin Coconut Oil ,Olive Oil, Sunflower Oil, Castor Oil,Palm Oil, essential Oil of Papaya ,Papaya Fruit Pulp,annato seed as natural colorant, Lye, Distilled water. 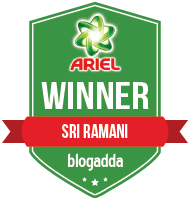 Availability : Available in few online stores,You can buy it from here and here at great discount. 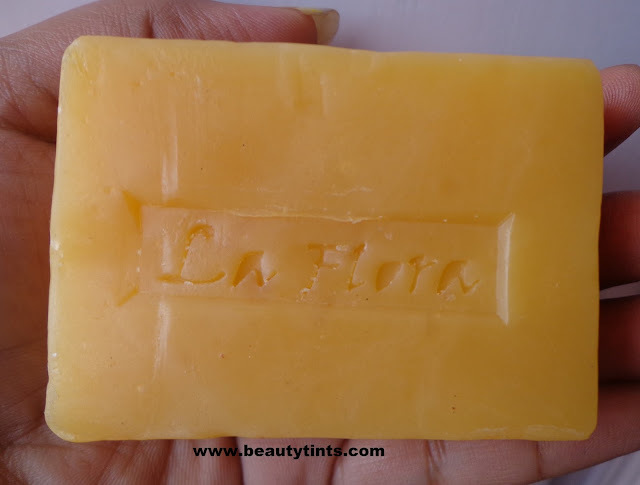 This soap is a bright orange colored with buttery soft texture,which has pure papaya fragrance.It lathers into a creamy foam and cleanses the skin gently yet effectively.It hydrates the skin with out drying out.It is very mild on the facial skin too.It is enriched with the goodness of Papaya along with virgin coconut,olive,sunflower,castor and palm oil.It gives a nice fresh and clean look to the skin and also makes it soft.As it is free from artificial hardeners,this melts easily,so we need to dry it properly.I prefer to cut it into two pieces,so that it lasts little longer.It is preservative free and cruelty free. 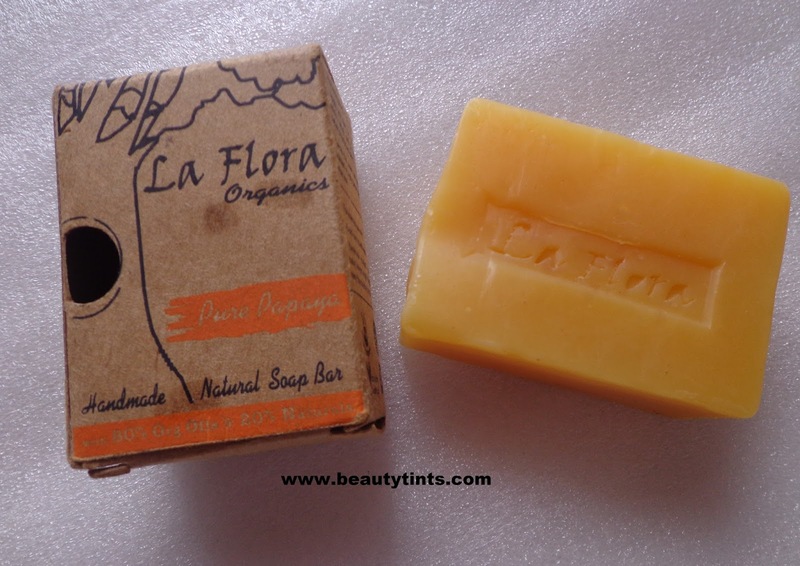 Final Conclusion about La Flora Organics Pure Papaya Handmade Natural Soap Bar: Overall,a good natural handmade soap with the goodness of papaya and other essential oils.Suits all skin types and good for all seasons.